I recently discovered the simplicity and satisfaction of cooking baking potatoes, sweet potatoes and acorn squash in the microwave. Yep, the microwave! The best part is they come out pretty darn close to oven baked spuds and squash! When I say "pretty darn close", I mean it! The skin is a little different, but they are light and fluffy inside and not at all gummy like when you just toss a potato in the microwave. The best part.... not running the oven for over an hour! So, of course now I am making those too! I have 3 sizes ranging from the person lunch box size and a family size bag. If you haven't heard of this before, it's definitely worth giving it a try! Bags can be purchased from my DetroitKnitter Etsy shop in my bags/totes/holders section. 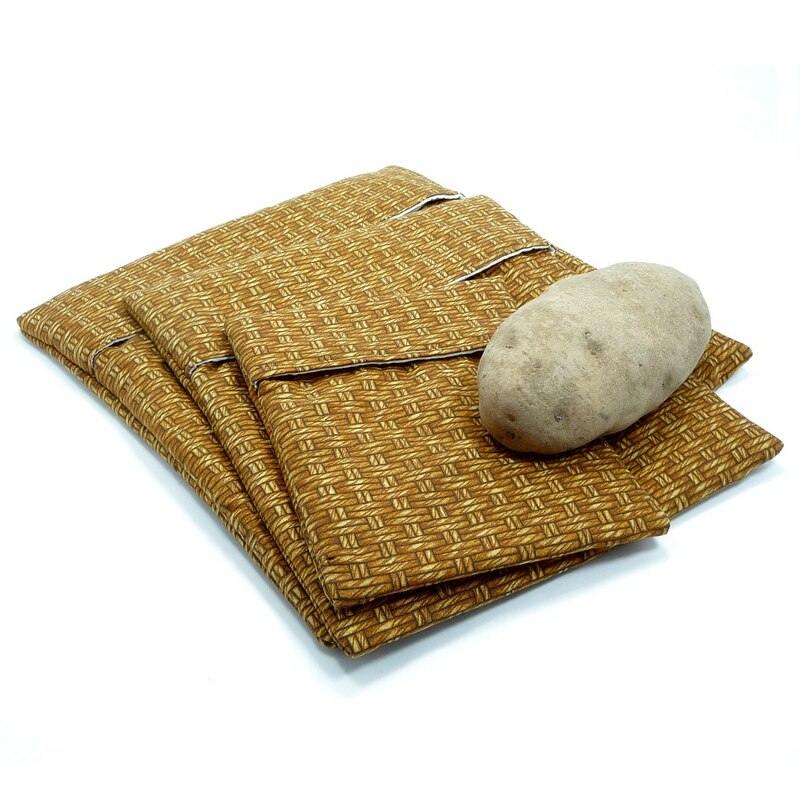 There's way more information about the bags and how they work there too! You will also need a Large Microwave Bag, a few microwave safe bowls, a microwave safe plate, and several paper towels. Place bacon strips on a paper towel on a microwave safe dish. Cover with a second paper towel. Microwave for 4-5 minutes. Let cool. Crumble. Combine butter and green onions in a small microwave safe dish and cover. Microwave on high power for 1 ½ minutes or until the onion is soft. Put milk in a large microwave safe dish. Microwave for about 1 ½ minutes to get it hot. Do not boil. Add the green onion and butter mixture, ½ of the crumbled bacon, the remaining ingredients (you may save a sprinkle of cheese to dress the top of the potato) to the bowl of milk. Stir. 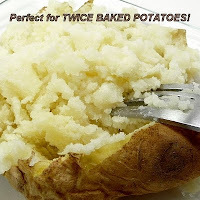 Cut the potatoes in half and scoop the pulp into the milk bowl with the other ingredients. Do not discard the potato shells. 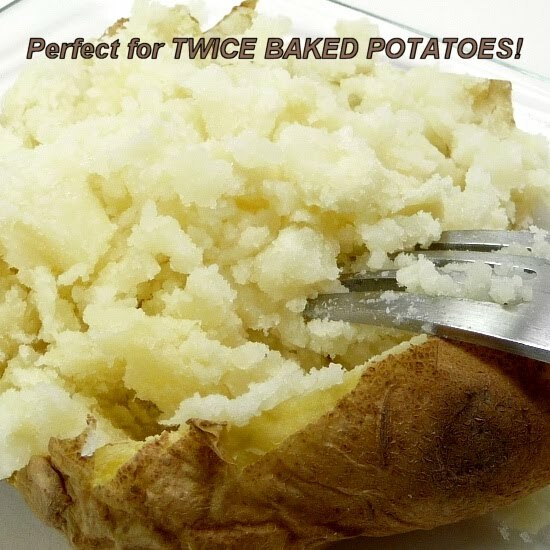 Mash the potato mixture until light and fluffy. Stir in half the crumbled bacon. Spoon the potato mixture into the potato shells. Sprinkle with remaining bacon and cheese. Place the filled shells on a microwave safe plate and cook on high power uncovered for 1 to 1 ½ minutes. Makes 8 potato halves. Adjust contents to your taste.